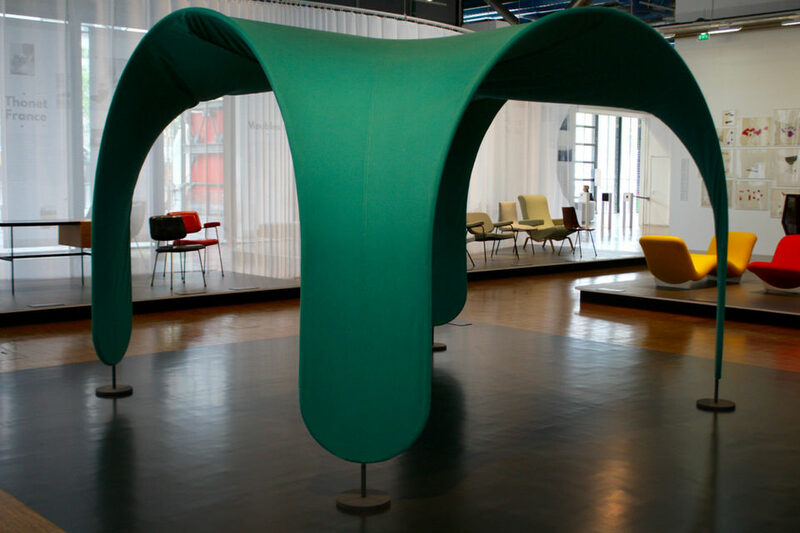 ← The May Design Sales are on view in Paris! 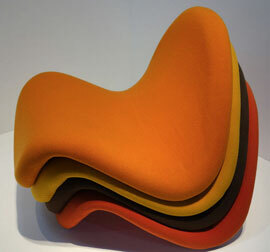 Pierre Paulin (1927-2009) was a true innovator in the world of design. 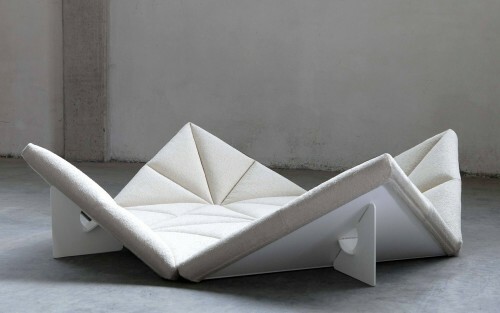 Always interested in the dialogue between comfort and the body, he created a new art de vivre where comfort, glamour and style co-existed in perfect harmony. 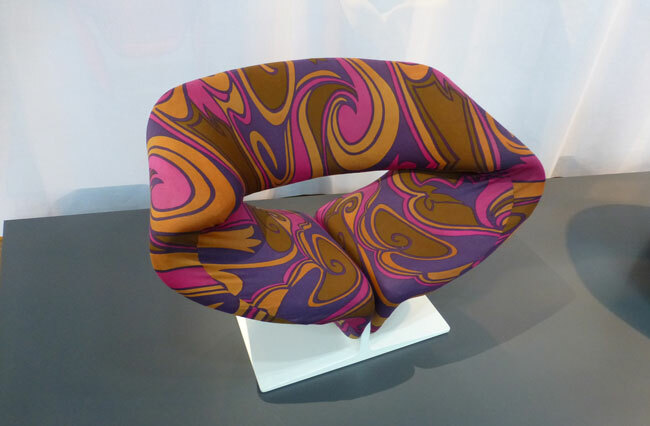 In his exploration of forms, techniques and new materials, he opened up groundbreaking possibilities, working with polyester foam and stretch jersey, and creating pieces with joyful flowing lines and uninhibited bright colors. He said “my work is at the junction of technique and a bit of poetry”. He graduated in 1950 from the Centre d’art et de Techniques (the institution which eventually became Ecole Camondo). 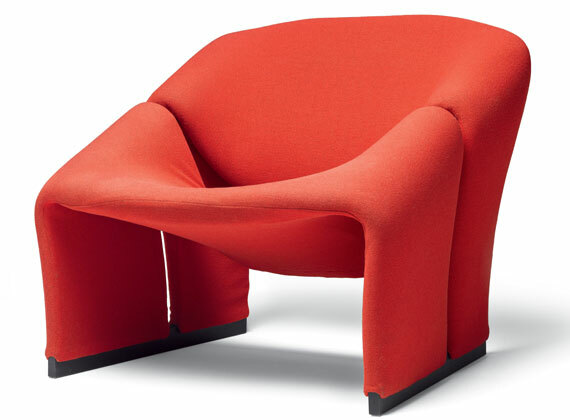 His first designs for Thonet-France were financed by his father in 1954 and he went on to work with la maison de’édition de meubles Artifort in the 1960s where he developed his groundbreaking series of chairs with wooden structures, Pirelli foam and stretch polymer jersey material. 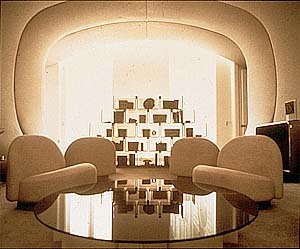 Paulin originally gave his work identity numbers and found the names later added “perfectly ridiculous”! Some major high-profile commissions confirmed his prodigious talent. 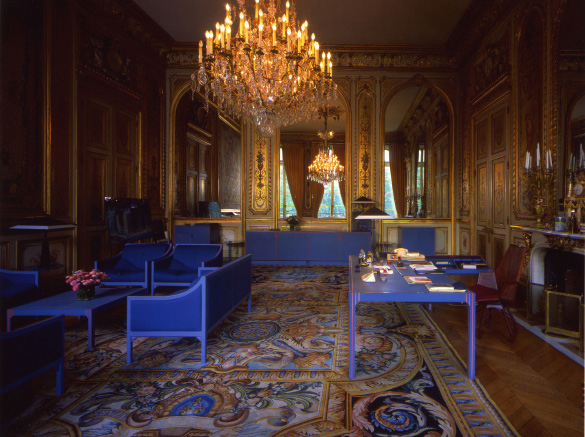 In 1961 he designed the entrance foyer of the Maison de la Radio in Paris, the Denon wing of the Louvre in the 1970s (working with the Mobilier National), the private apartments of Georges and Claude Pompidou in the Elysée Palace in 1971, and François Mitterand’s office in 1984. 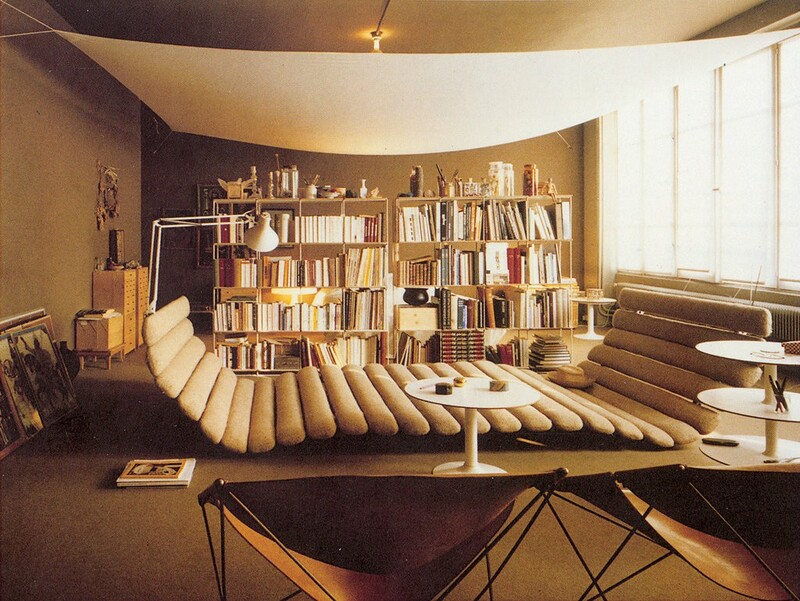 Fauteuil from the Elysées Palace ‘Salon des Tableaux’, 1971-72. 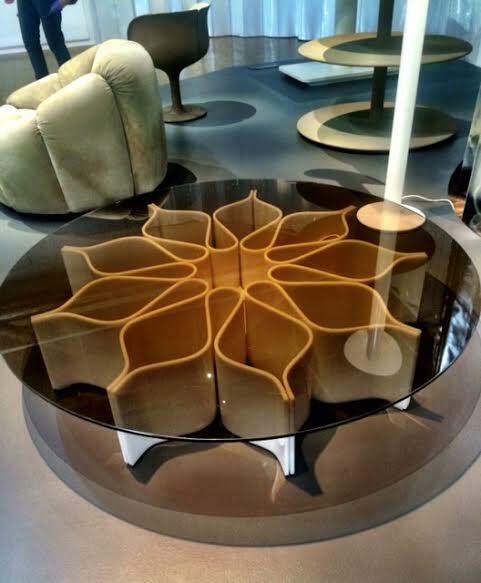 Steel tubing, mousse and leather. Edited by Mobilier National. 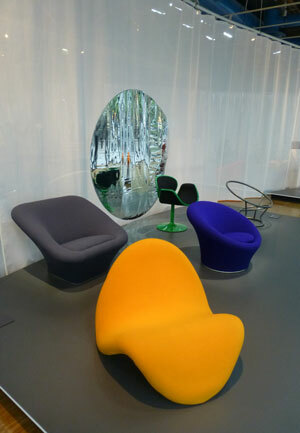 The exhibition at the Centre Pompidou, the first retrospective there of Paulin’s work, is an absolute must-see. 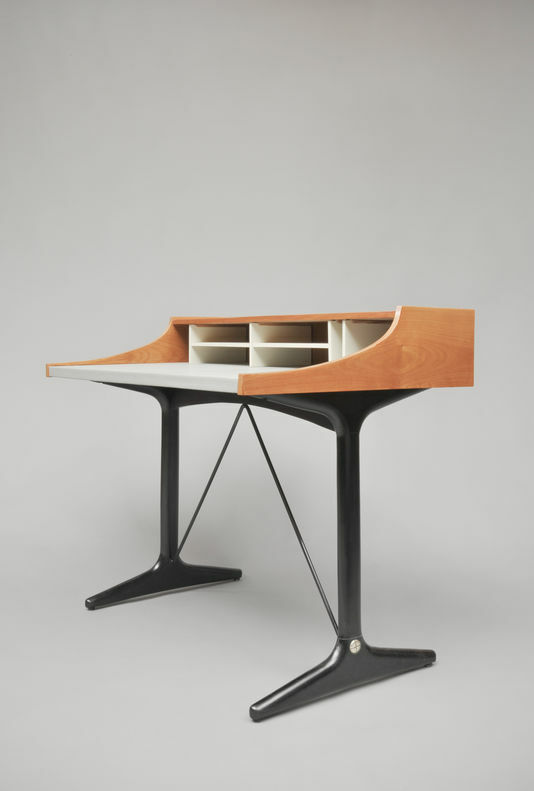 With over 70 pieces of furniture and around 50 drawings, it covers 40 years of his work. 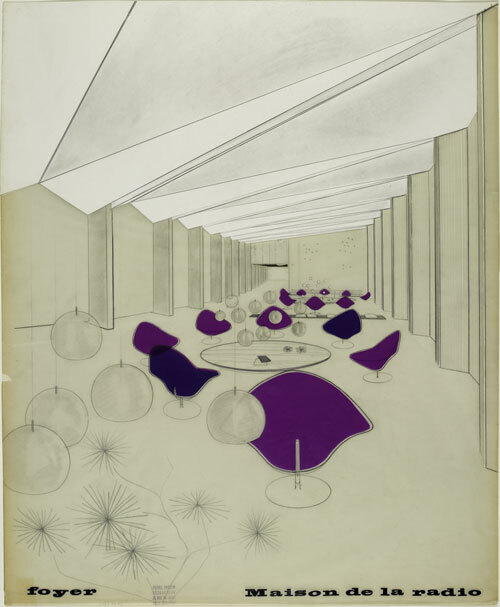 The Paulin family generously donated furniture, archives, documents and drawings to the Pompidou last year. 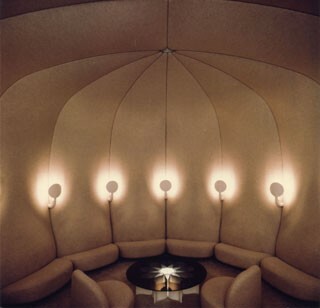 In the spirit of Paulin’s pre-occupation with the human body and comfort, several re-editions of his chairs on which you can sit are placed in front of a screening of the great master discussing his work. 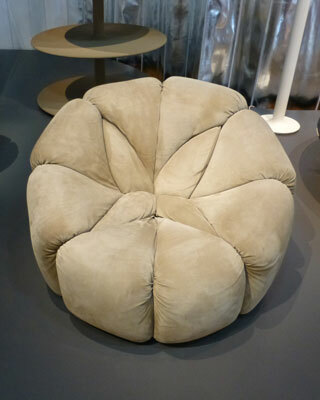 And the chairs are very comfortable, cocooning the body while looking sensational. 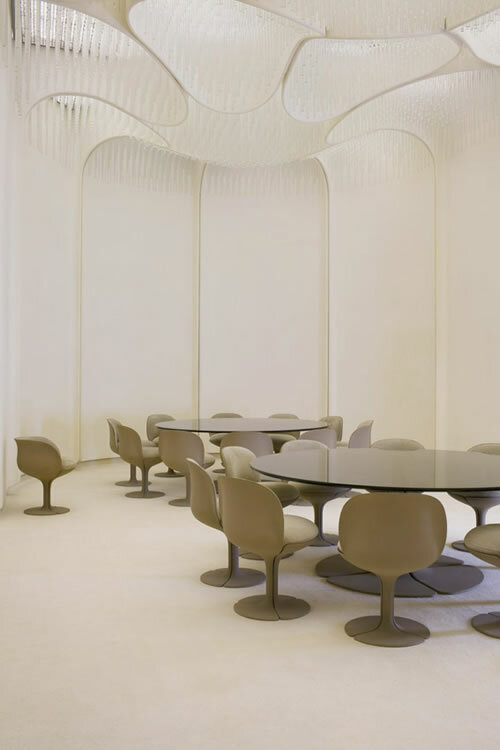 Arranged chronologically, his iconic pieces are on view – the Mushroom chair (1960), Tongue Chair (1967) and the Ribbon Chair (1966) – along with lesser known pieces from the Fifties and various prototypes. 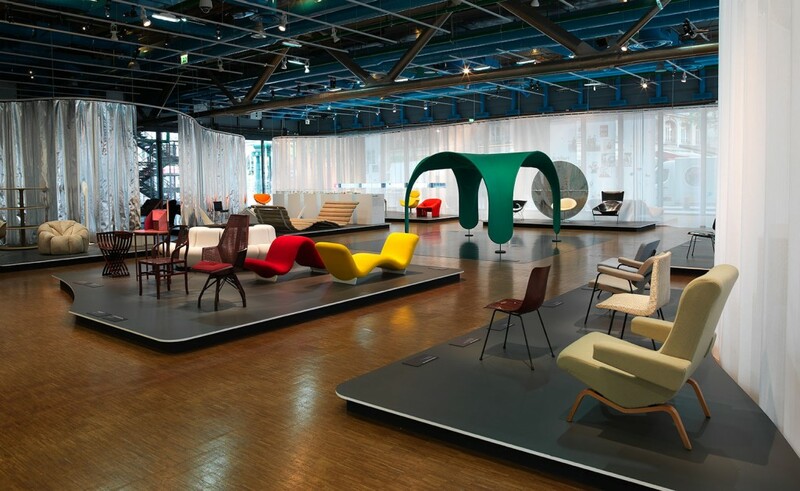 Also exhibited are projects which Paulin produced himself and which never went into large-scale production (the Tapis-siège carpet seat, the Déclive recliner and the Tente).